Different companies have different logistical needs. Let us help you calculate the value that SpaceInvader can have for yours. 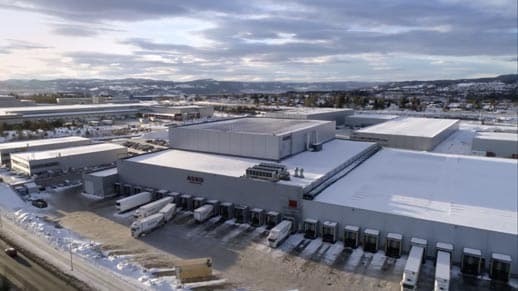 Whether it is in manufacturing, warehousing, distribution – or a mix. “We tested SpaceInvader on a route in Central Norway. We saved an entire truck a week, cutting costs by 20%. That is thousands of kroner every single day in transportation costs alone, not to mention the environmental benefits”. You can use SpaceInvader wherever you use pallets. There is a lot to be gained from your unused space, and SpaceInvader makes it easy to plan, pack and handle goods in an entirely new way. You see the difference directly on the bottom line, as well as in your environmental footprint and ergonomics. Make SpaceInvader an integrated part of your supply chain and experience advantages that create value all the way from supplier to distributor to retailer. See the value from SpaceInvader directly on the bottom line and feel it on the retail floor. 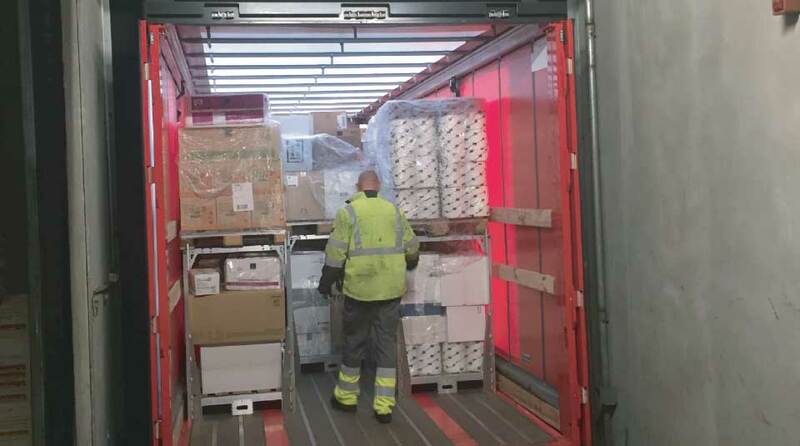 Goods delivered on pallets stacked to the optimal working height of 120 cm are easier for employees to unpack. A lower working height is an ergonomic advantage as employees now have to make fewer heavy lifts from up high. Replenishing stock is also easier when pallets are packed according to category. You also have fewer delivery days, because the truck brings more goods with every delivery. “We save an entire delivery day, which means we can use those resources on other work in the store. It is also an ergonomic improvement, because SpaceInvader gives us a better working height of just 120 cm. That takes way less of a toll on our employees when they stock shelves”. SpaceInvader allows you to pack deliveries higher and thereby transport more goods on less space, increasing the fill of your truck. SpaceInvader makes it possible to stack higher, so you can load and store more goods using less space, thereby achieving a greater fill. 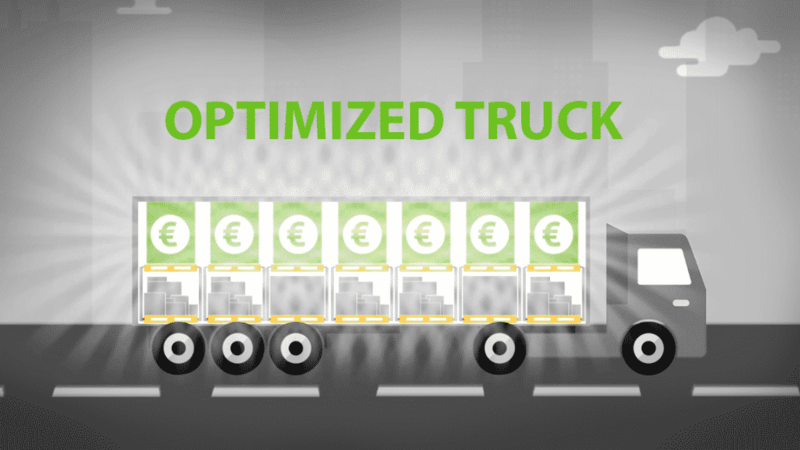 Optimising the packing of trucks will lead to fewer of them on the road and a direct reduction in emissions. That is good for the environment and makes the transportation industry more sustainable. 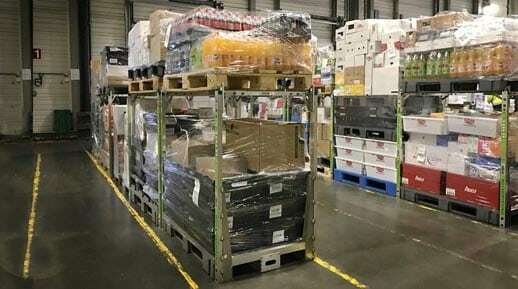 Most pallets are packed to a height of 180 cm. That is problematic, especially when packing unstable and loose items. It also makes redistribution of those items on the sales floor inefficient. With a lower pallet height of 120 cm, SpaceInvader makes it easier to unpack deliveries and improves both working height and ergonomics. Optimise with double stacking. SpaceInvader creates value in your warehousing, assembly, transportation and distribution. The value is gained with double stacking all the way through your supply chain. When you double stack your goods, you avoid the daily logistical puzzle of figuring out how to best fill your truck, because the pallet rack makes it easy to handle goods that are non-uniform in size and shape. SpaceInvader also protects fragile and odd-sized goods and creates more space on the bed of the truck. When you take advantage of the empty space at the top of the truck and thereby maximise your height, you are able to carry more goods on every run. It is also possible to place long items on the top shelf of the rack. 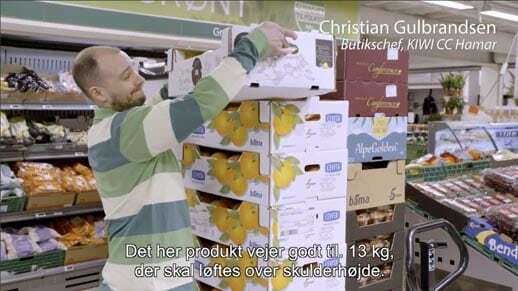 Highly-packed pallets, up to 180 cm, are difficult to handle in-store. 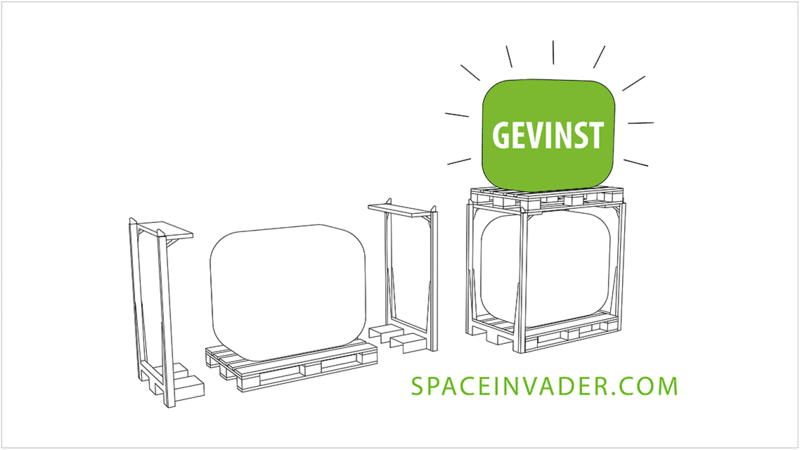 SpaceInvader wins you space by separating cargo into two pallets of 120 cm (240 cm in combined transport height). Increased efficiency is an important parameter for success in any industry. SpaceInvader increases your efficiency both in production and during transit by letting you improve the way you handle odd-sized and fragile goods. Your storage of items and semi-finished products is made more efficient by making better use of floor- and storage space. This applies to transportation of goods as well.